It’s been 40 years, and Michael Myers is still alive and still hunting down poor Laurie Strode. 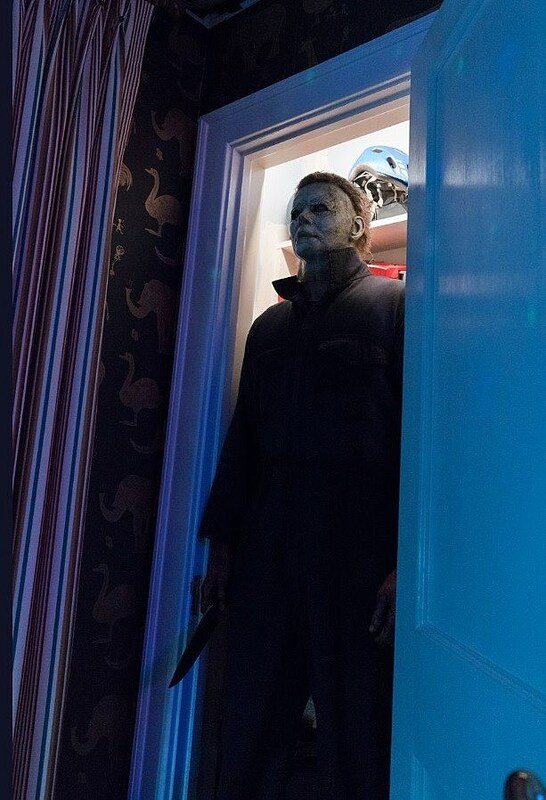 In David Gordon Green’s new Halloween, the knife-wielding maniac is back again for another horrifying Hallows’ Eve, and he’s looking more terrifying than ever. 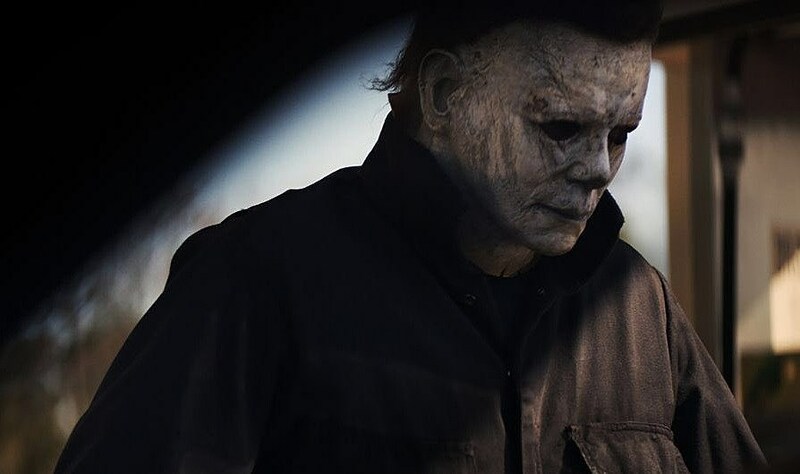 So far we’ve seen Myers’ new mask teased in the film’s poster, and a couple promo stills of Jamie Lee Curtis and her murdering pursuer. But a short teaser has arrived, along with the official photos of the film, via USA Today, giving us our first look the reboot/sequel, along with some new plot details. The first image, seen above, finds Myers breaking into Laurie Strode’s home – and jeez do his hands look freakishly creepy and large! Two more photos give us a good look at Myers’ updated mask. In the new film, the killer’s mask looks nothing like the clean and pristine one of the original and many sequels. It’s a little closer to the deteriorated mask of Rob Zombie’s Halloween movies, and reflects the wear-and-tear from the past four decades. If that’s not enough to spook you to death, here’s a pic of Myers standing in a bedroom closet to haunt your nightmares. In this case, she is well-matched, she is prepared, she is focused. She will be the one people are standing behind when that moment comes, because she’s the one ready. Halloween, co-written by Green, Danny McBride, and Jeff Fradley, will also star Judy Greer and Laurie’s daughter, and Andi Matichak as her granddaughter. Stay tuned for when the first trailer arrives online this Friday. Halloween hits theaters October 18.